Point Park University educates students in a diverse urban environment and prepares them to apply knowledge to achieve their goals, advance their professions and serve their communities. Allow students to integrate knowledge and insights from diverse fields. Emphasize the development of critical thinking and written and oral communication skills. Emphasize interactive learning: students are encouraged to think independently and to seek creative solutions to intellectual, ethical, and practical challenges. The core curriculum serves not only to promote understanding among an increasingly diverse student body but also prepares students to participate responsibly in a democratic society. Employ written and oral communication skills in order to convey clear and organized information to target audiences for specific purposes. Locate, evaluate and use information effectively, ethically, and legally from a variety of formats both traditional and digital. Analyze problems and develop independent solutions. Analyze issues within their political, economic, socio-cultural, historical, and environmental contexts. Recognize, define, analyze and interpret a variety of aesthetic expressions and/or demonstrate originality and inventiveness. 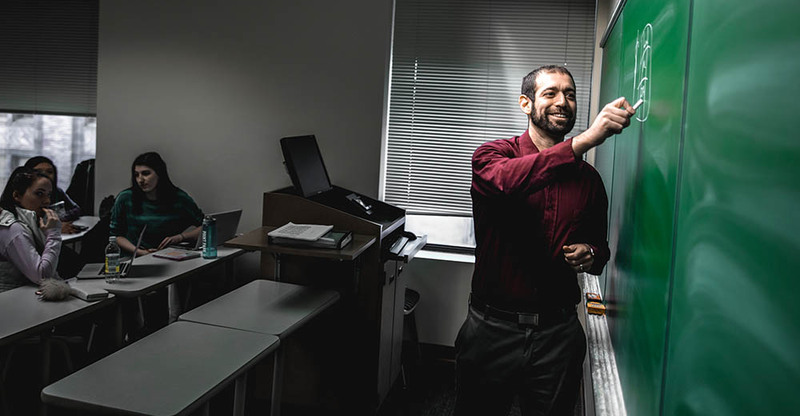 In accordance with Pennsylvania Department of Education regulations and Middle States Commission on Higher Education standards, Point Park's Core Curriculum consists of 42 credits of general education courses designed so that students gain college-level proficiency in communication, critical thinking and technological competency. Freshmen will complete the following three fundamentals courses in their first year. Friday, April 27, 2018 For their final project in the new History of American Music core curriculum class taught by Assistant Professor of History Jehnie Burns, Ph.D., students chose songs and designed cover art centered on a historical theme they are passionate about. Tuesday, January 30, 2018 Based on real case management files provided by Circles of Greater Pittsburgh, the event simulated a month in the life of a family seeking basic necessities. Tuesday, April 4, 2017 It's not uncommon for college students — and graduates — to make major money mistakes. Point Park University created a course called The Money Thing, which educates and encourages students to make smart financial decisions during and after college.